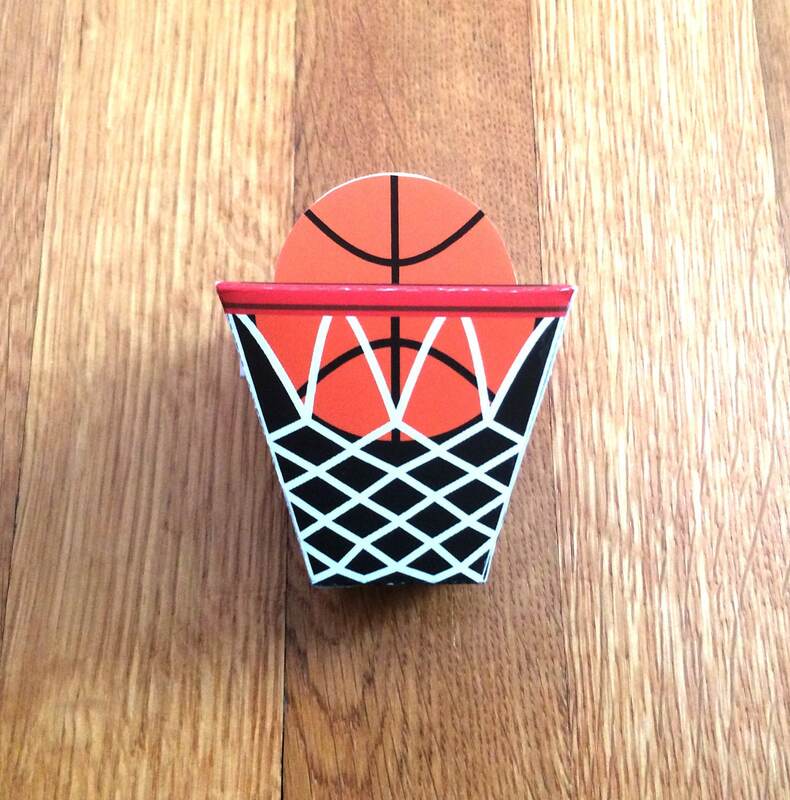 Basketball favor boxes are perfect for basketball themed parties or as a gift box for your favorite basketball fan. 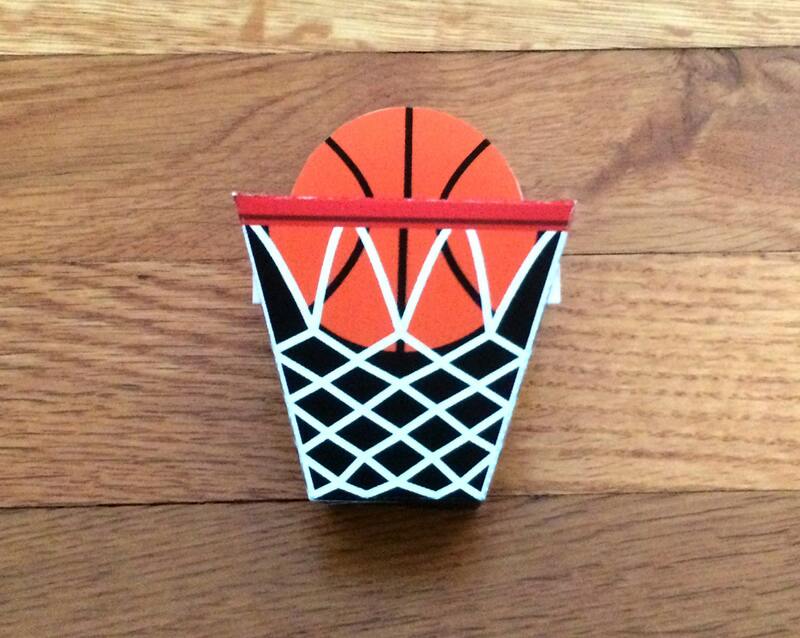 They are simple and easy to make. Just purchase and download the PDF file. 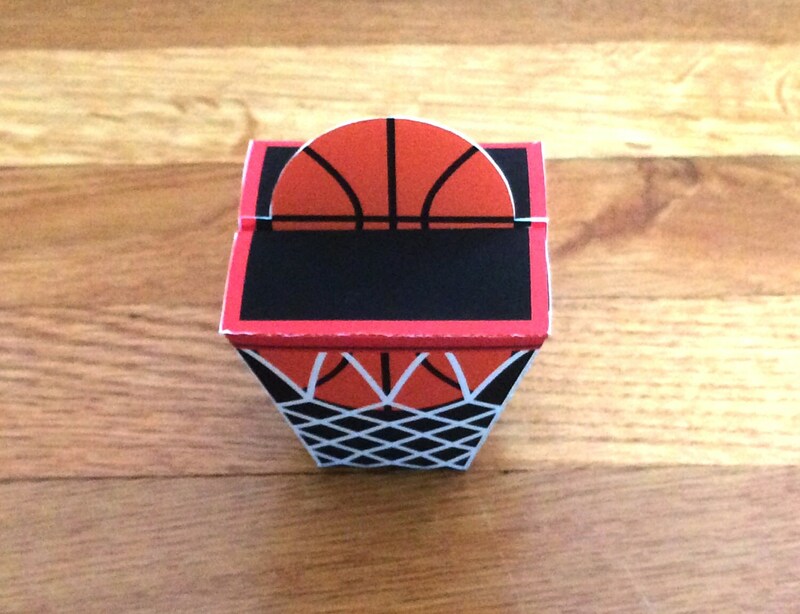 Next print out the PDF file, cut one continuous piece, fold, glue one tab, and you have a charming basketball favor box. A PDF file gives you the convenience of being able to printout as many as you'd like, whenever you want. Having a party? Place one at each table setting for your guests or place a bunch together and create a fun centerpiece. 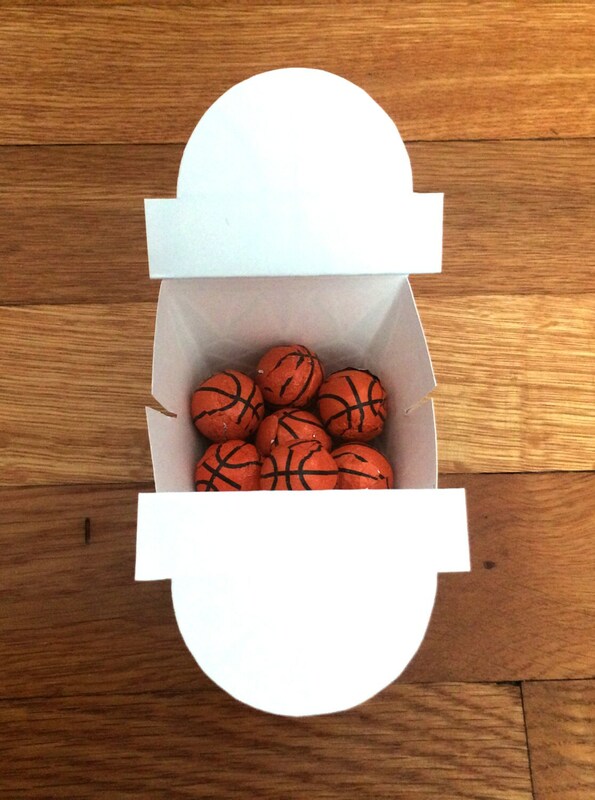 Perfect for birthday parties or just having friends over to watch the game. Fun and convenient! The PDF file includes easy assembly instructions too. 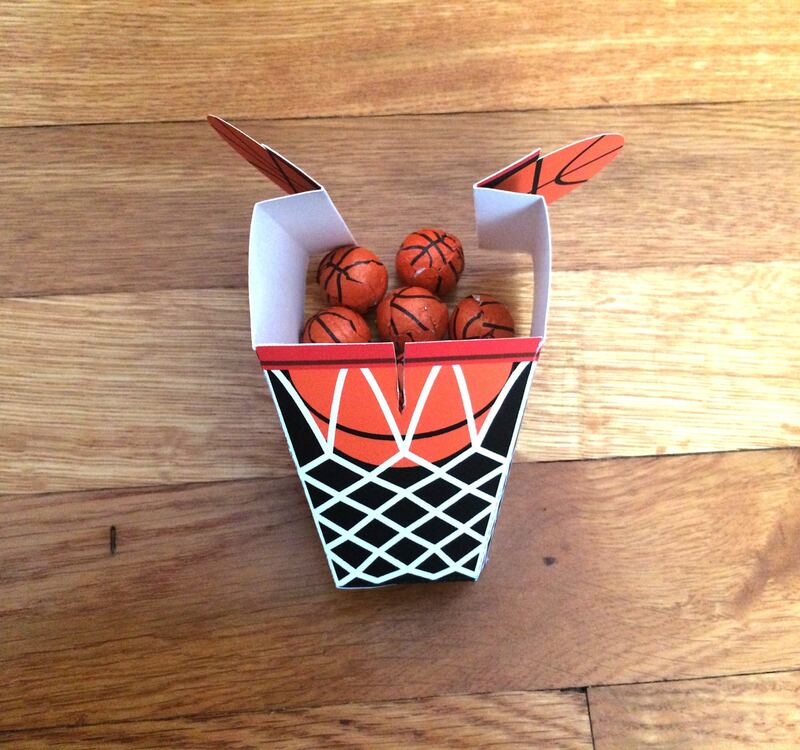 The height of both the box and flat protruding ball is approximately 3.125". The height of just the box is 2.125". The folded down lid presses into the box across the center .625" deep. So when filling the box with contents a solid item placed in the box should not exceed 1.5" tall, but loose items may fit around the .625" deep center to fill the 2.125" height. The bottom of the box is a 1.25" square and the top of the box is a 2.375" square.